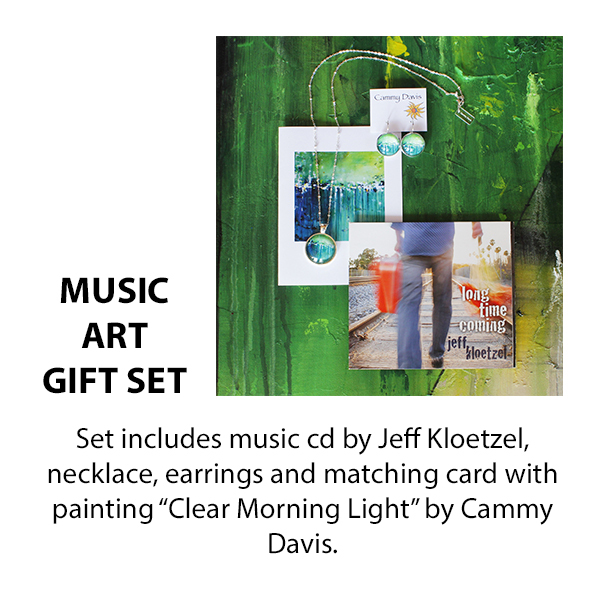 Music Art Gift Sets are now available locally, as well as on CammyArt.com. Sets include Clear Morning Light and Come Back to Me with musician Jeff Kloetzel and Playin’ Hooky with musician Darrin Wayne. 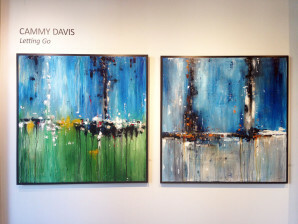 These make great Christmas or anytime gifts! 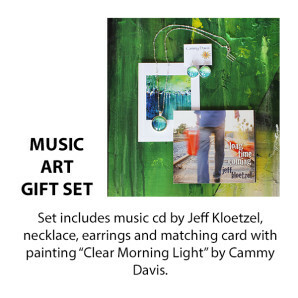 They include a CD, necklace, earrings and matching card. You can purchase them locally at the Crown Jewel in Ashland and Jacksonville. I did a new podcast with Cullen Pope from EATT Magazine in Australia, with tips for Artists and Entrepreneurs at trade shows. The Podcast ends with Come Back to Me by Jeff Kloetzel. A must listen!